With only a month to prepare for the Academic IELTS exam, it’s likely you’re feeling some pressure! 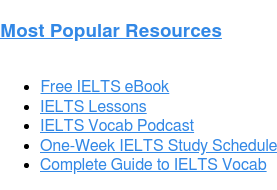 The IELTS is challenging, even for test-takers who are very proficient in English—which is why it’s helpful to use an IELTS guide as you learn how to study for IELTS. During the next four weeks, you should engage with English as much as possible. Go out of your way to find opportunities to speak, write, listen, and read in English. You can learn a lot in a month, especially new vocabulary! Of course, it is also critical that you use this time to become very familiar with the IELTS exam and how to approach each section of the test. And that is what this study schedule is designed to do! Even if you don’t have time to complete all the listed tasks for a given day or week, do what you can! Modify the schedule to fit your circumstances. The Magoosh lessons “Create your study schedule 1 – 3 weeks” and “Create your study schedule 4 – 8 weeks” will help you develop a study schedule that meets your needs. If you have less than a month to prep, you might even consider using our One-Week IELTS Study Plan. The goal of the study schedule is to keep you organized, motivated and on track with your IELTS preparation. Each week, there are six days of preparation. One day per week will be a rest day, which isn’t included in the schedule. Use that day to relax and regain your strength. If you study every day, it is likely you will get tired and benefit less from your study time. Click here to download and/or print this study schedule. And here are some great resources that are also mentioned in the study schedule. These are optional, but highly recommended! Also watch the video Using the Grammar Lessons in Introduction to IELTS Grammar. Watch any 4-5 grammar videos of your choice in Magoosh. Choose grammar lessons that will help you most with your weaknesses. Start working on Magoosh’s IELTS flashcards. Your goal should be to learn 15-20 new words each day. Complete some Reading and Listening questions from the official IELTS website. Today, your goal is to become familiar with the format of the test. Don’t worry too much about how many right and wrong answers you get. For Reading, make sure to choose “Academic Reading” questions on this web page. Click the “Practice Reading” button on your Dashboard. Read one passage and answer all questions for that passage. Watch the explanation video for every question you get wrong. Click the “Practice Listening” button on your Dashboard. Answer all of the questions associated with two different recordings. Watch the explanation video for every question you get wrong. Respond to the Speaking and Writing questions in The Official Cambridge Guide to IELTS on pages 171-172. Make sure to read the directions for both sections carefully. For the Speaking questions, simply respond out loud to the prompts one-by-one. Your goal today is to become familiar with the format of these IELTS sections. Don’t worry about grading yourself today. In Magoosh, watch the video Studying for the IELTS in the Introduction to IELTS section. Then, watch the first video under the Reading section, titled The SUN Method. Watch any 3-4 grammar videos of your choice in Magoosh, according to your weaknesses. Take the Reading section of Practice Test 1 from The Official Cambridge Guide to IELTS (pages 160-170). Use the self-scoring chart in the back of the book (pages 387-388) to see where you stand. You should review your wrong answers carefully so that you understand why you made every mistake. However, the goal for today is to become familiar with the question types you will encounter in the IELTS Reading section. Click the “Practice Speaking” button on your Dashboard. Answer two full sets of interview questions. Make sure to utilize the built-in recording function. Afterwards, assess your responses using official IELTS band descriptors for Speaking. If possible, find a native English speaker or someone proficient in English to help you assess your speaking. Make sure to watch the explanation videos for both sets of interview questions. 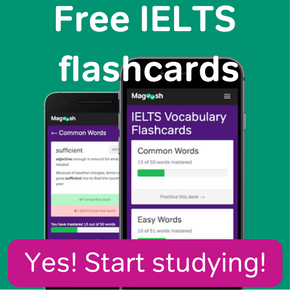 Master at least 20 more words in Magoosh’s IELTS flashcards. If you believe the deck you are working on is easy for you, finish it today. Complete the “Listening” section of Practice Test 1 on pages 154-159 in The Official Cambridge Guide to IELTS. You should review your incorrect answers carefully, learning from your mistakes. However, the goal for today is simply to become familiar with the question types you will encounter in IELTS listening. Click the “Practice Writing” button on your Dashboard. Complete one Task 2 essay and watch the explanation video. Take the “Reading” section of Practice Test 2 on pages 177-187 in The Official Cambridge Guide to IELTS. Review your wrong answers carefully so that you understand why you made every mistake. Take the “Writing” section of Practice Test 2 on page 188 of The Official Cambridge Guide to IELTS. Spend time today learning more new words with Magoosh’s IELTS flashcards. Click the “Practice Listening” button on your Dashboard. Listen to two different passages and answer all questions related to those passages. Watch the explanation video for every question you get wrong. Read the essays that you wrote on Week 1, Day 6. Compare them to the sample essays and answer explanations in the back of the book. Edit both of your essays. Did you catch any errors that you could correct the next time you write? Did you meet the word count minimum? Are your essays organized clearly? Use the official IELTS Writing band descriptors to help you evaluate how you did. Here are the band descriptors for Task 1 and Task 2. If possible, find a native English speaker or someone proficient in English to help you assess your writing and give you feedback. Watch 4-5 new grammar videos in Magoosh. Have you discovered any areas of weakness with your grammar by evaluating your writing and speaking responses? Focus on these areas. Click the “Practice Speaking” button on your Dashboard. Answer two full sets of interview questions and watch the explanation videos. Complete the “Listening” section of Practice Test 2 on pages 173-176 in The Official Cambridge Guide to IELTS. Review your incorrect answers carefully. Study the scripts in the back of the book (pages 344-346) to understand your incorrect answers. Click the “Practice Writing” button on your Dashboard. Complete one Task 1 essay, and then watch the explanation video. Spend 20-30 minutes answering questions from this set of Speaking prompts on the Magoosh IELTS blog. Answer all questions from the “Speaking” section of Practice Test 2 in The Official Cambridge Guide to IELTS (page 189). You should record your responses so you can evaluate them at a later time using official IELTS band descriptors. You may be able to use your computer or phone to record your responses. This online recorder may also be helpful. Watch 3-4 new grammar videos in Magoosh. Click the “Practice Listening” button on your Dashboard. Listen to 3 different passages and answer all questions related to those passages. Watch the explanation video for every question you get wrong. Take the “Reading” section of Practice Test 3 on pages 195-204 in The Official Cambridge Guide to IELTS. Review your wrong answers carefully so that you understand why you made every mistake. Click the “Practice Writing” button on your Dashboard. Complete one Task 2 essay, and then watch the explanation video. Edit the essays you wrote today and on Week 2, Day 3. How could you make them better? Can you find grammar mistakes you could avoid next time you write? Listen again to your recorded Speaking responses from Magoosh and your official practice. Can you find mistakes or ways to improve your answers? If you had trouble answering a few specific questions, try answering them again. Repetition is a great way to improve your speaking responses. In Magoosh, watch the next three videos under Reading: Matching Headings Questions, Matching Sentence Endings Questions, and Multiple Choice Questions. Spend 10-20 minutes working on your vocabulary either with Magoosh’s IELTS flashcards or these vocabulary exercises. Congratulations—you’ve now reached the halfway point of your one month of IELTS study! In Magoosh, watch the next two videos under Writing, Task 2 Essay Type: Advantages and Disadvantages and Task 2 Essay Type: Agree or Disagree? Take the “Writing” section of Practice Test 3 on page 205 of The Official Cambridge Guide to IELTS. Watch 3-4 new grammar videos in Magoosh and review one more. Spend 10-20 minutes working on your vocabulary using these vocabulary exercises. In The Official Cambridge Guide to IELTS, read page 132-133. Take your time as you analyze the three essay samples on page 133. Then do the same exercise with the essays you wrote on Week 3, Day 1. Make sure you also read the sample essays in the back of the book (pg. 390-391). Compare them to your own. What features of these essays could you incorporate into your own responses to improve them? Click the “Practice Writing” button on your Dashboard. Complete one Task 1 and one Task 2 essay, and then watch the explanation videos. Complete the “Listening” section of Practice Test 3 on pages 190-194 in The Official Cambridge Guide to IELTS. Review your incorrect answers carefully, learning from your mistakes. Click the “Practice Reading” button on your Dashboard. Read three passages and answer all questions. Watch the explanation video for every question you get wrong. Answer all questions from the “Speaking” section of Practice Test 3 in the The Official Cambridge Guide to IELTS (page 206). Record your answers so you can review them later. Watch 3-4 new grammar videos in Magoosh and review one other lesson of your choice, grammar or IELTS-based. Click the “Practice Listening” button on your Dashboard. Answer all of the questions for with three passages. Watch the explanation video for every question you get wrong. Today, you’re going to take a full practice test. If you don’t have a full three hours to spend, then switch this day with a day next week when you will have the time. You need three hours with no interruptions to complete the test. Take Practice Test 4 in The Official Cambridge Guide to IELTS. Do not take breaks during the Listening, Reading, and Writing sections, and be careful with the clock. Time yourself strictly in order to replicate exam conditions the best you can. If at all possible, try to find a native English speaker to interview you for the Speaking exam. If that isn’t possible, find a friend who knows some English to read you the questions. And if that is also impossible, simply read the questions and answer them on your own. Remember to record your responses so you can analyze them later! Click the “Practice Writing” button on your Dashboard. Complete two essays: a Task 1 essay and a Task 2 essay. Watch the explanation videos. Review all of your answers from the full practice test you took at the end of last week. Pay careful attention to your wrong answers in Reading and Listening, learning from your mistakes. Grade your Speaking and Writing tasks by comparing them with the examples provided in the back of the book. Click the “Practice Reading” button on your Dashboard. Read two passages and answer all questions. Watch the explanation video for every question you get wrong. Do the Listening section of Practice Test 5 from The Official Cambridge Guide to IELTS. Review your incorrect answers carefully. Do the Writing section of Practice Test 5 from The Official Cambridge Guide to IELTS. Compare your essays to the responses provided in the back of the book. 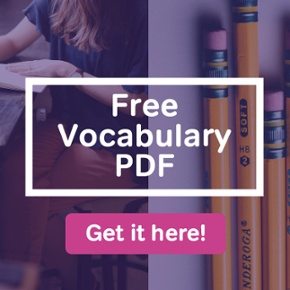 Review all your vocabulary from both Magoosh flashcards and EnglishVocabularyExercises.com. Click the “Practice Speaking” button on your Dashboard. Answer two full sets of interview questions. Watch the explanation video for both sets. Return to the Speaking task recordings you created on Week 3, Day 4. Repeat the same tasks better than the first time, attempting to include new vocabulary in every answer. Try to avoid grammar errors you made the first time through. When you’re done, compare the recordings. Were you more fluent than the last time? Were your responses more organized? Did new problems emerge? Return to the essays you wrote yesterday. Edit them and consider ways to improve them. If at all possible, give your essays to a teacher, friend, or family member (with knowledge of English) to read and evaluate. It can be very helpful to get a another person’s opinion about your writing. Click the “Practice Writing” button on your Dashboard. Complete one to two essays, watching the explanation videos. Complete the Reading questions from Practice Test 5 from page 232 to 243 of The Official Cambridge Guide to IELTS. Review each incorrect answer carefully. Review Magoosh videos and practice questions daily. Take Practice Test 6 in The Official Cambridge Guide to IELTS. Review vocabulary that you’ve already learned. Regularly listen to TED talks and read articles from New York Times or Newsweek. After every article or talk, summarize what you learned either in writing or in speech. If you speak your summary, record yourself. Tell yourself you’re a rock star who’s going to ace the test. Don’t study today—you’ll just build up anxiety! Instead, find out what to expect on test day by reading about what you need to bring on test day. If you’ve followed this one month IELTS study schedule, you should be in good shape for the test. Get a good night’s sleep, and have a healthy breakfast in the morning. How Long Should I Study for the IELTS? 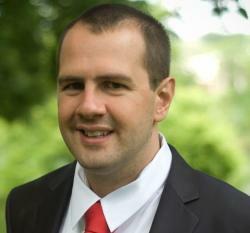 Eliot is the IELTS Curriculum Manager at Magoosh. 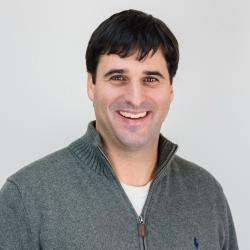 He brings a love of language and assessment to the role, along with years of experience as a college ESL instructor. After completing his graduate studies at New York University and Harvard, Eliot taught at Northeastern University, University of California-Irvine, and Harold Washington College. He enjoys cooking and exploring new places. Above all, he loves the ocean and never passes up a chance to hit the beach with his family or go scuba diving. I was wondering, if you have a study plan for IELTS General exam as well? I have my scheduled exam on 2nd of Dec’17. You can do a lot in the next 20 days to prepare for the test. My advice is to begin by taking an official full-length practice test to see which sections you need to work on most. For example, if you struggle to complete both essay questions in an hour, you know you’ll need to work on trimming off some of that time. After that, I would spend time learning about the test (the different question types, the directions, etc.) and IELTS strategies. This blog post has some good resources to help you prepare. At Magoosh, we also offer a prep course you should check out! I need L8 R7 W7 S7 for my immigration purpose. I am pretty good with reading and speaking. Every time I scored 8 and 7.5 in these sections respectively. But I need help with writing and listening,I am getting short by 1 band from both of them,I have a exam on 24th March.Can you help me with it. The 1 month IELTS study schedule is given here but I want to know about the 6 months premium. How can it help me in my long preparation?What kind of materials does it provide?Is it same as 1 week and 1 month program? Is just the duration and access time longer? You’re welcome, Deblina! I’m glad you’re finding it helpful! Hello, my name is Sitara I live in New Delhi Iam searching for academic IELTS preparation can u give me information plzz ? I have 15 days to study IELTS Academic and I had 99 in TOEFL iBT in May, 2018. I wonder is it possible to make a quick study and get 7 or 7+ IELTS Academic score with this background. I am not familiar with the test very much and I am trying to establishing a solid foundation for it right now. Is 15 days adequate for this objective? Congratulations on your excellent TOEFL score! A 99 is roughly equivalent to a 7 on the IELTS (see comparisons on the official TOEFL website). So you probably have the right level of English skill to get the 7 you need on the IELTS. The next step is to really get acquainted with the format of the IELTS test, and develop some good IELTS-specific strategies. Test structure and strategy can be learned relatively quickly. If you have a Magoosh IELTS subscription, my advice would be to start by just watching all of the video lessons. This should take you well under two weeks, probably just a week or slightly more. Then, from there, do practice questions as time allows, including at least one practice test. 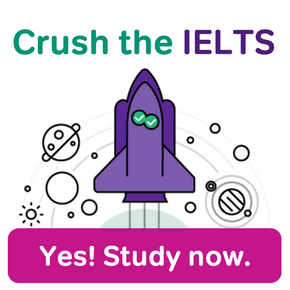 This will allow you to focus on learning test strategy and structure, with some time at the end to apply your very good English skills directly to IELTS practice. If i prepare for ielts through your free materials only, can i reach my goal which is 7? 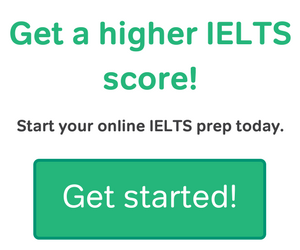 You may possibly be able to get to your IELTS goal of 7 just with free materials. That depends a lot on where your score currently is, though. For example, if you’re getting 5.5 or below on your practice exams, getting to 7 will be harder. You may need more than a month and you may benefit from additional paid material in that case. However, if you’re getting a 6 or 6.5 in practice, 7 is in close reach. Hello i have some question. Actually im going to take computer based ielts exam in January. About computer based and paper based . This two test are completely same or different ? 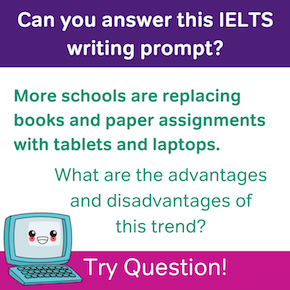 In terms of content and questions, the computer and paper-based IELTS exams are the same. (And the Speaking section is completely unchanged– that’s still a face-to-face interview!) However, taking the IELTS on computer can feel a good deal different. TO get a sense of the look and feel of the questions on the new computer-based IELTS, check out these official IELTS CBT questions. I am new in Magoosh an I was wondering if it is a good idea to follow this plan for one month? or should I do with custom practice? In addition, could you give me your advice on the next questions? 1. does this month practice include everything? I mean, tests, or only recommendations for the exam? 2. do I get everything with this month plan? or do I need to study other things into Magoosh?, I mean, is this plan full enough? don’t I need anything else? This study plan is designed as a comprehensive way to prepare for the IELTS exam. We go through all of the information, skills and strategies that you need for success on the IELTS. It includes skill development, practice questions, practice tests, flashcards, and everything else you need to know for the exam. We do recommend that students use the Official Guide to the IELTS . The Official Guide is made by the test-makers themselves, so it’s the most authentic material out there. It’s not necessary to use this in order to study, but we highly recommend it! Where are grammar videos in Magoosh?, because you put “Watch any 4-5 grammar videos of your choice in Magoosh, but I don’t know where they are located, could you help me? In addition, what does mean this: choose grammar lessons that will help you most with your weaknesses. If you are a Magoosh Premium student, please feel free to ask these questions directly to our team of tutors at help@magoosh.com or using the purple Help tab in your dashboard! If you are a Premium member: the grammar lessons are listed on the right side of your Lessons Page. If you aren’t a Premium student, you can access our free Magoosh English grammar here. 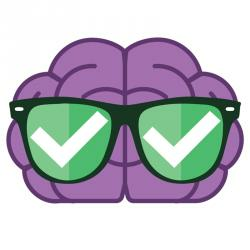 We say that you can choose which topics you need to cover because different students have different needs, and not everyone needs to review all of the grammar videos!